Photo: Spark Flies. Image © Alice Merkel. 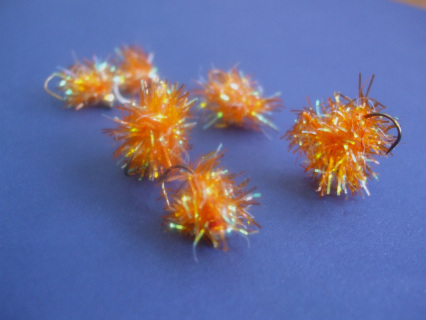 This is a durable egg pattern for spawning rivers where predators such Steelhead, Salmon and Trout are feeding on eggs. Great sparkle for attraction sets it apart from other eggs floating down the river, and the bead head helps the fly sink into the feeding lanes. Bright colors work great in murky water conditions. Fly pattern available in proven colors that will pique the interest of even the pickiest steelhead and trout in any river conditions. Specify quantity. Price per item. 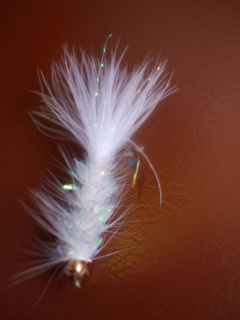 Photo: White Fly 2. Image © Alice Merkel. 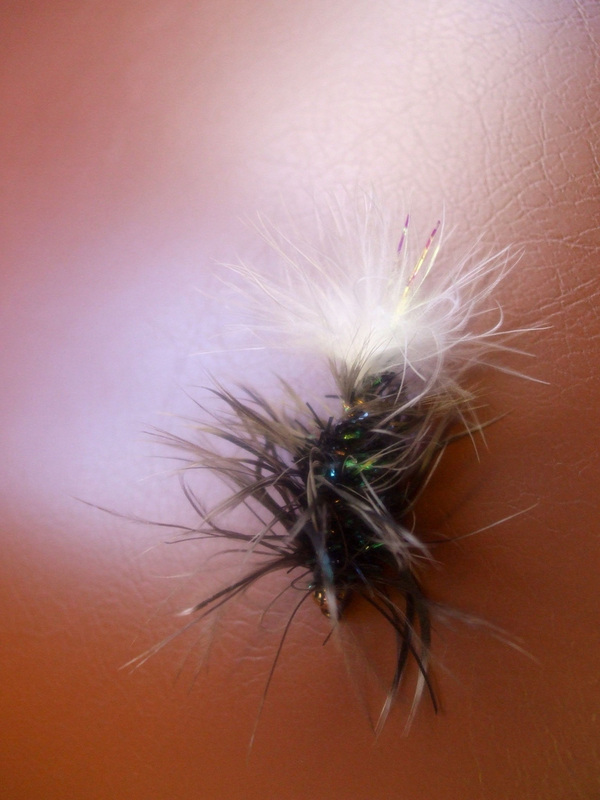 This great woolly bugger has a bead head which makes it easier to get down in the feeding lanes and has become a favorite fly for Steelhead and Trout. It is also very effective with both Large and Small Mouth Bass. 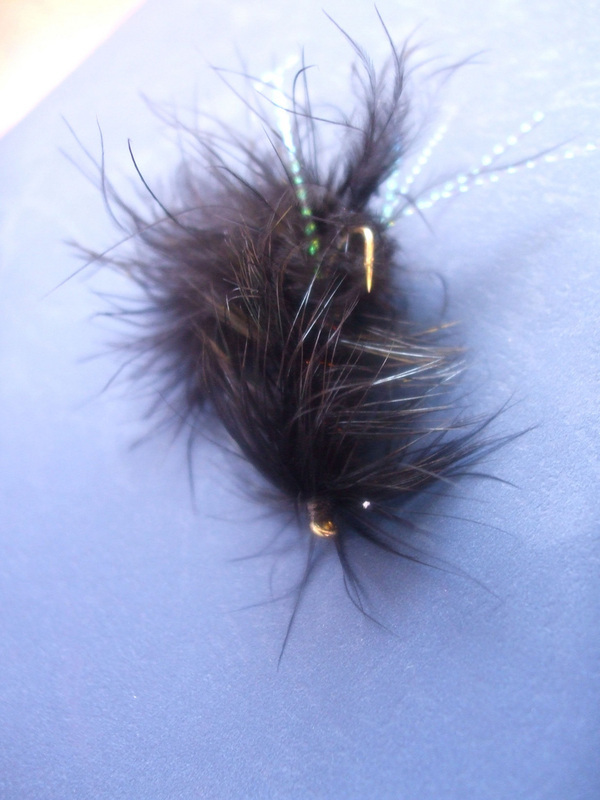 No fly box on a trout stream should be without a selection of these flies. Photo: Fluffy. Image © Alice Merkel. Specify quantity. Price per item.Photo: Half & Half. Image © Alice Merkel.